Healthy baby born from transplanted womb - Healthcare Asia Daily News | Asia's Leading News and Information Source on Healthcare and Medical Industry, Medical Technology, Healthcare Business and R&D, Healthcare Events. Online since 2010. : Healthcare Asia Daily News | Asia's Leading News and Information Source on Healthcare and Medical Industry, Medical Technology, Healthcare Business and R&D, Healthcare Events. Online since 2010. 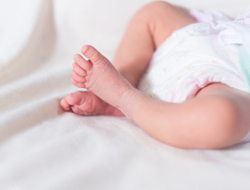 A healthy baby girl has been born using a transplanted womb. The 10-hour transplant operation used a womb from a dead donor, and took place in São Paulo, Brazil, in 2016. The mother, 32, was born without a womb. In this case, The Lancet published that the womb donor was a mother of three in her mid-40s who died from bleeding on the brain. Six weeks later, she started having periods, and after seven months, the fertilised eggs were implanted. After a normal pregnancy, a 6lb baby was delivered via caesarean section on 15 December 2017. “The first uterus transplants from live donors were a medical milestone, creating the possibility of childbirth for many infertile women with access to suitable donors and the needed medical facilities,” said Dr. Dani Ejzenberg, from Hospital das Clínicas in São Paulo. Dr. Srdjan Saso, from Imperial College London was extremely excited about the results.